Ritchie or Lil Ritchie as he is often called is just a cute pony. We aren’t really sure what breed he is but he sure is unique looking. 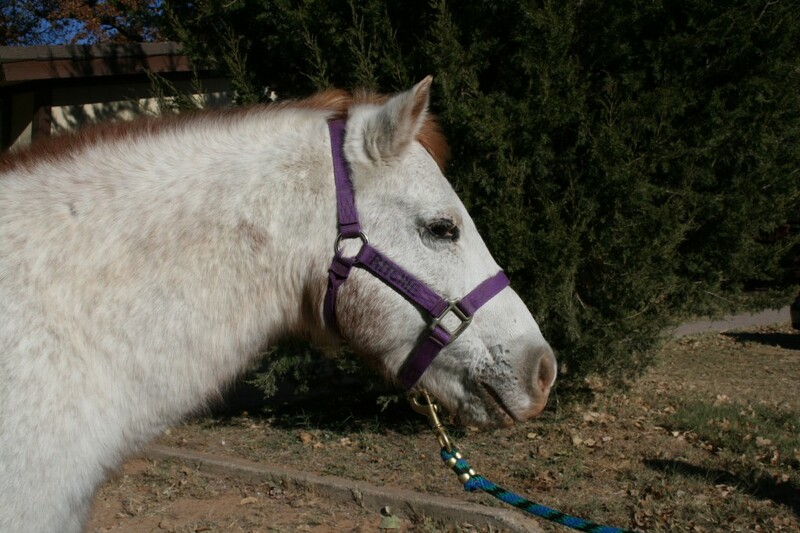 He is mostly white with tiny reddish orange freckles scattered around his body. His lower legs are the same reddish orange as his mane and tail. There isn’t really a name for what color Ritchie is but he sure is cute. Ritchie is 20 years old now and has been a part of the Rocky Top family for 10 years. He is an important part of our therapy program and used a lot in physical therapy. He is the perfect size for little kids to do physical therapy on and it’s easy for the side walkers to help the rider out since he is only waist high. Ritchie and other ponies like him are important in the physical therapy program because they are short enough to allow sidewalkers to help out a lot with the rider. Ritchie is a unique part of Rocky Top and is sure to put a smile on anyone’s face.